HomeBlogHome DecorCartesia Desk by NOSIGNER for COLORS. 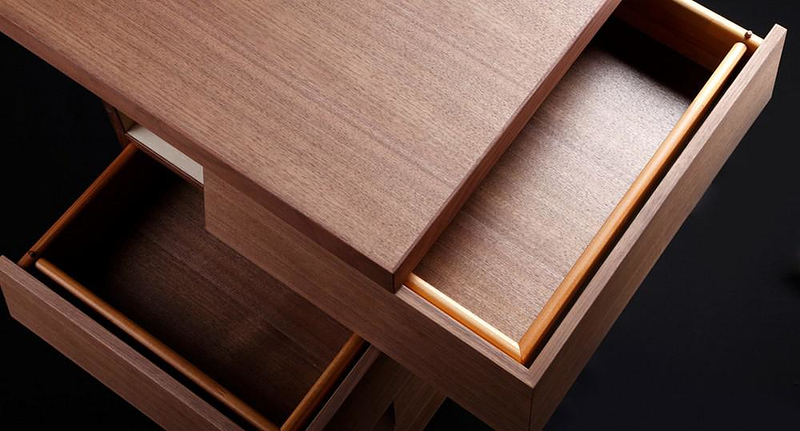 The innovative Cartesia Desk, developed with traditional wooden craftsmanship from Tokushima in Japan, possesses a really special drawer mechanism, a 2-directional structure, allowing you to access multiple storage at the same time as well as eliminating blind spots in the back of each drawer. Ii is made by Japanese furniture manufacturer COLORS and its name is inspired by Rene Descartes and its Cartesian coordination system. This sophisticated business desk was designed to assist you. 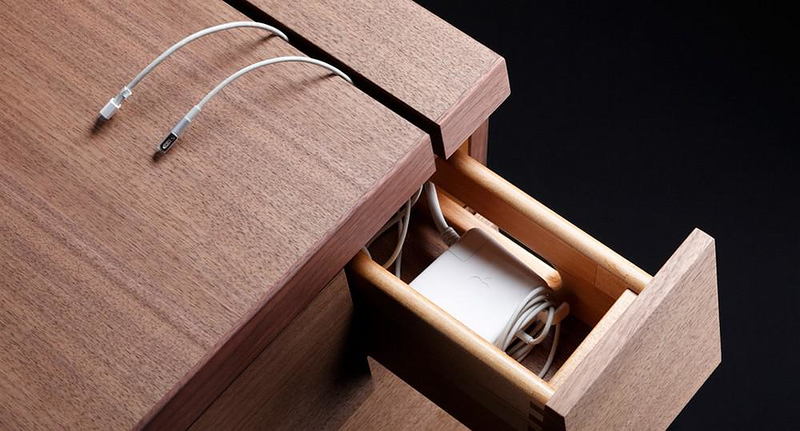 In addition to its clever Cartesia drawer system, it features a small side-drawer to store electric cables and a deeper one for documents or large files. 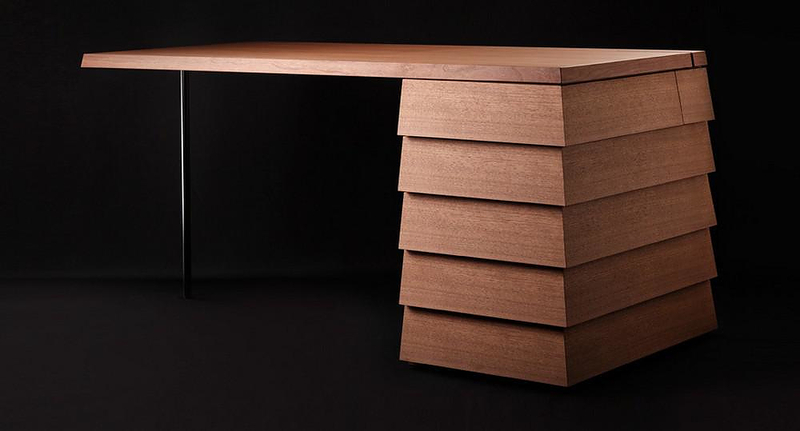 The Cartesia desk is equally suitable for home and office use. With its modern sharp design and its plenty ergonomic features it will be your perfect working partner. 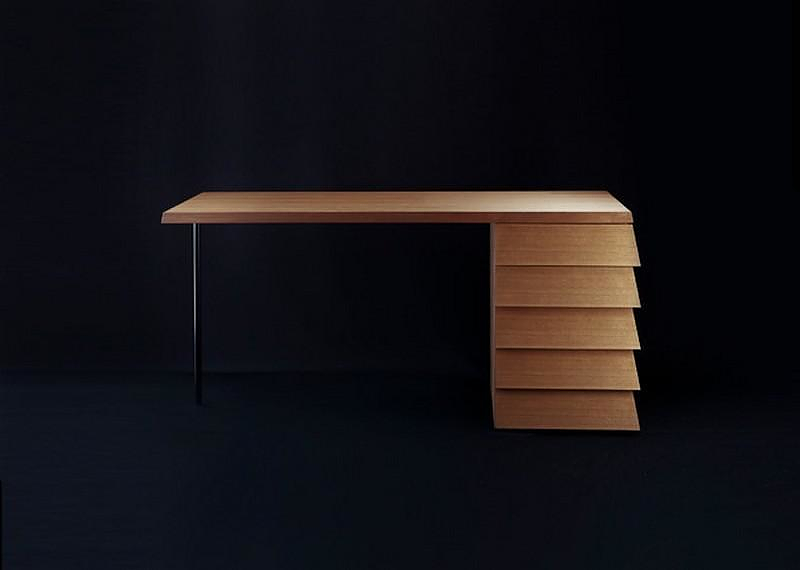 Designed by NOSIGNER, a Yokohama-based design studio, the Cartesia Desk supplements its brilliant ergonomics with modern sleek design. 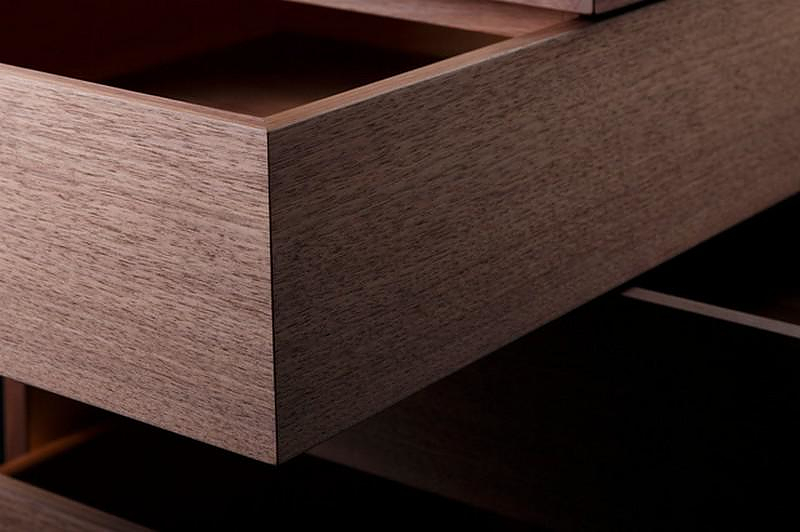 The bidirectional drawer system scores points for convenience, while the trapezoid-shaped drawers evade the need for handles, making them every more streamlined and visually appealing. 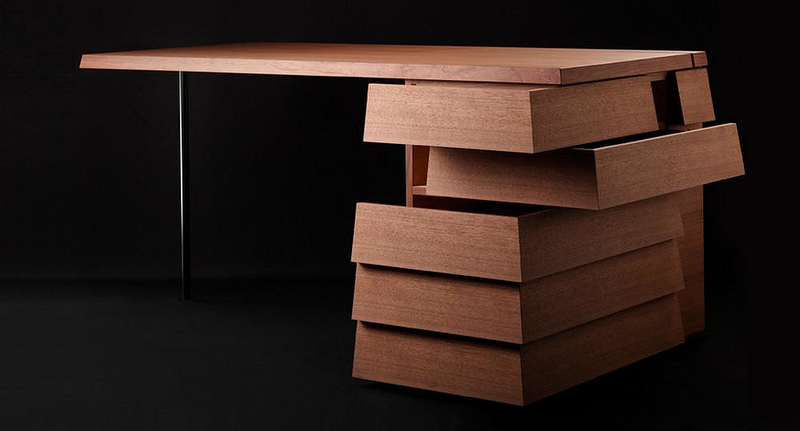 The Cartesia Desk is made to order in Japan’s Tokushima region by skilled craftsmen. It is constructed in either Tamo Wood or Walnut Wood, both of which are quality natural materials of the highest standards. 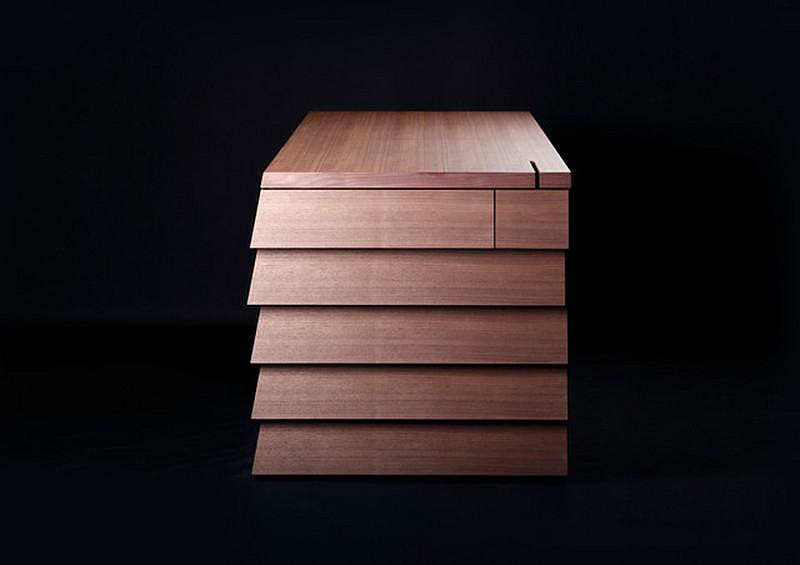 NOSIGNER designed a really unique piece of furniture, by combining Japanese tradition and a clever engineering system into a sleek modern desk that will give a touch of class to any living or working space.